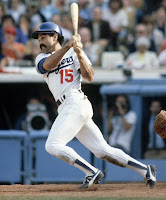 Kemp has been a favorite of mine for years, and Lopes was one of my favorite Cubs as a child, in the mid-80’s. He stole bases and seemed pretty cool. Who knew he ever had that kind of power? 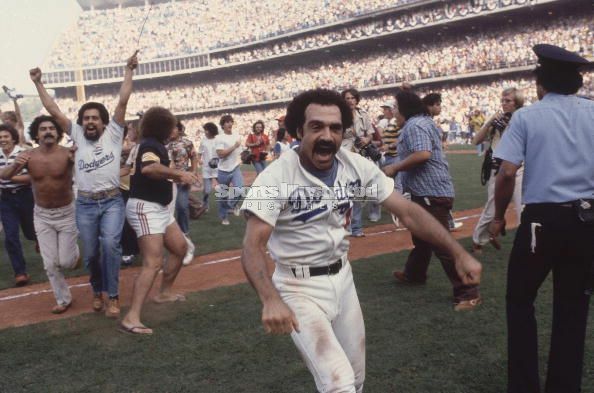 I never thought Davey Lopes hit 20 HR's in a single season. In 1979, he finished with 28 HR's, 44 SB's, a .265/.372/.465 triple-slash line, and a 128 OPS+. Reinforcing my affinity as a child, in 1986, before the Cubs traded him for the cult classic, Frank DiPino, Lopes hit .299/.419/.490, with a 144 OPS+. Matt Kemp is a completely different athletic specimen. Davey Lopes was listed at 5'9' 170 lbs, Kemp is 6'3" 217 lbs. "I was born in East Providence!" Now, we'd like to see Matt Kemp compete with Davey Lopes's old mustache. That would be something. 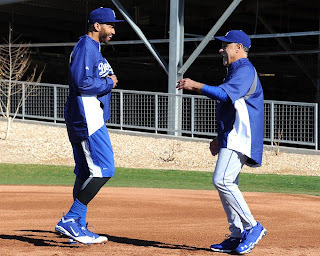 Kemp and Lopes share a laugh. McCourt Lifestyle: "Put it on the Underhill's"
Have You Seen Dan Vogelbach?